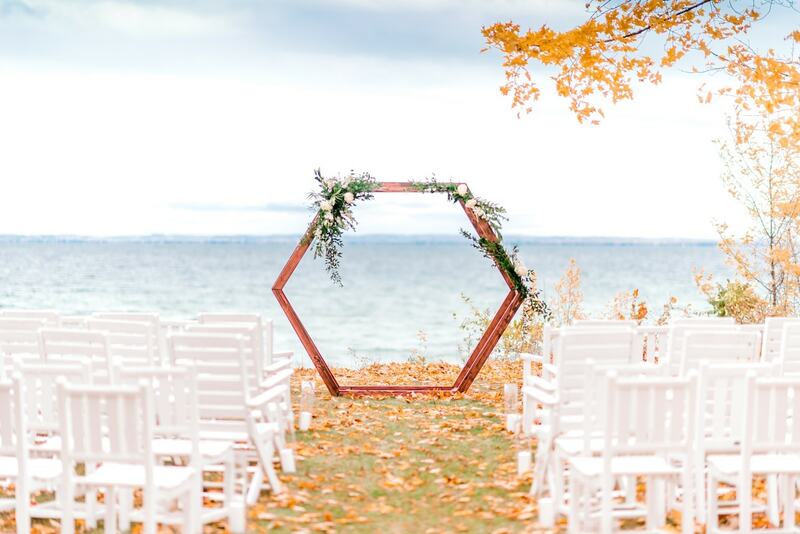 Flowers, doughnuts, and wishing wands: all ways to make your Northern Michigan wedding day unique, memorable and dreamy for you and your guests. Find inspiration in these 10 ideas. 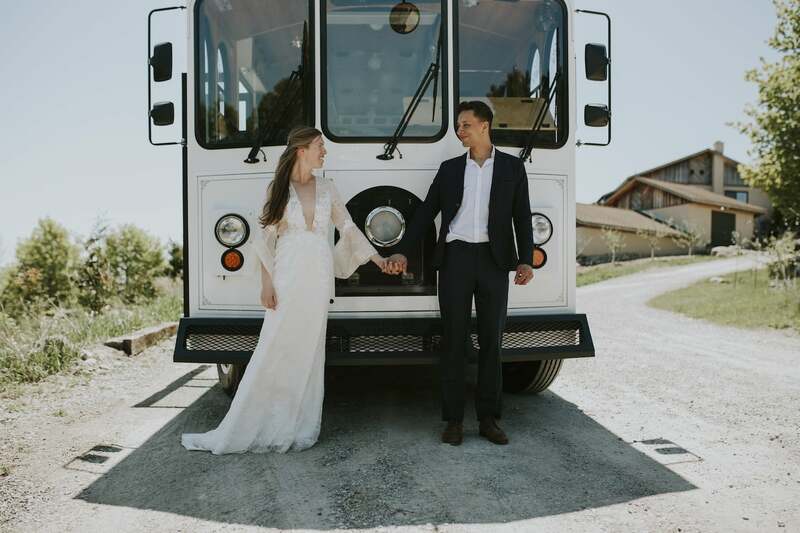 Featured in MyNorth Wedding, a magazine for couples who love Up North. 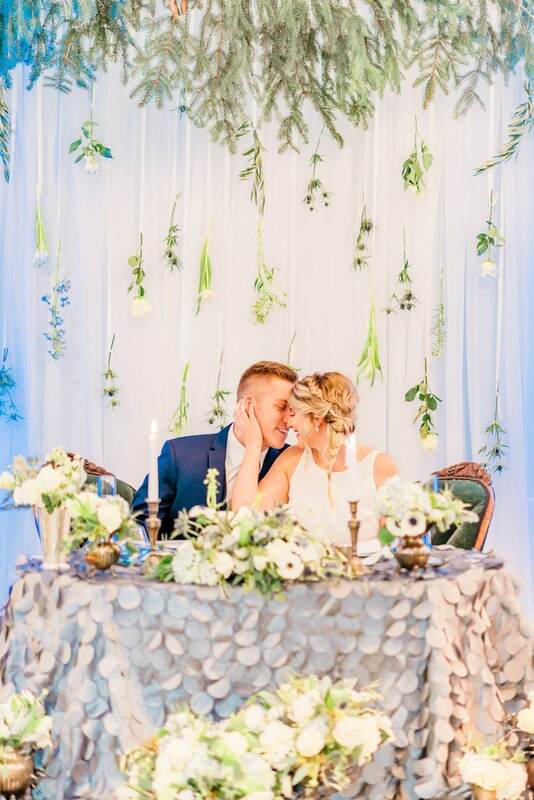 Attach flowers to a curtain for a dreamy backdrop. Step out of the traditional altar box with a hexagon—a shape known for its strength, just like your relationship. 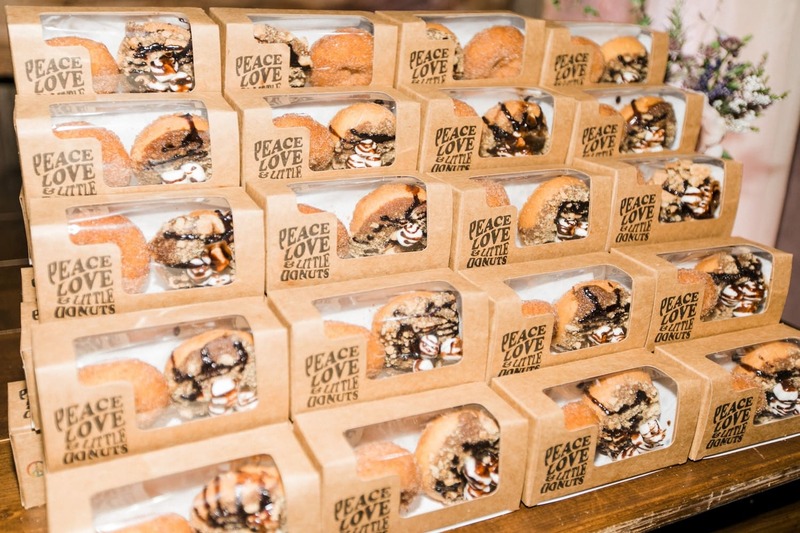 Sometimes the best ideas are looking you right in the face—at your local doughnut shop! A perfect late-night treat. 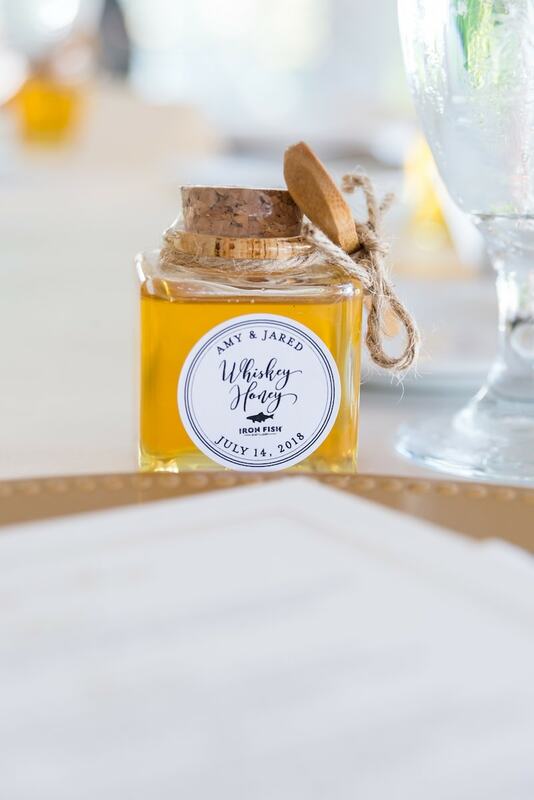 Local products with your wedding date make fabulous party favors. 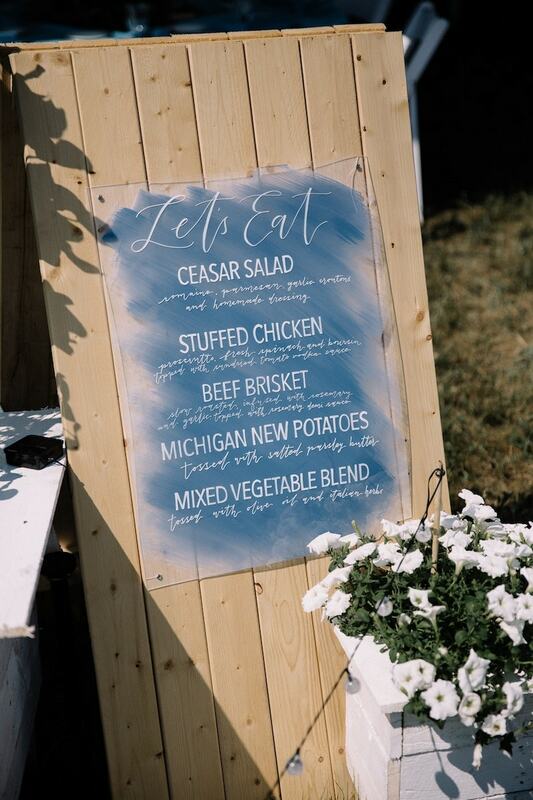 Make your menu part of the décor. 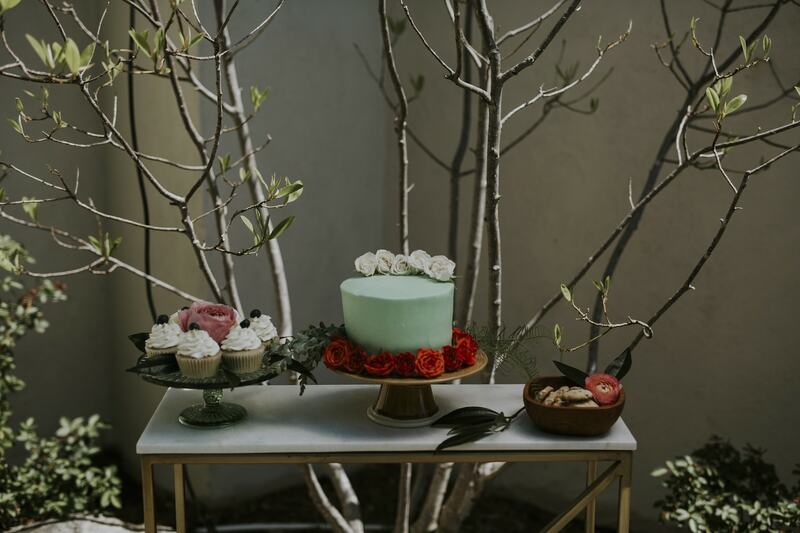 It’s going to be your favorite cake, EVER. So frost it your favorite color! 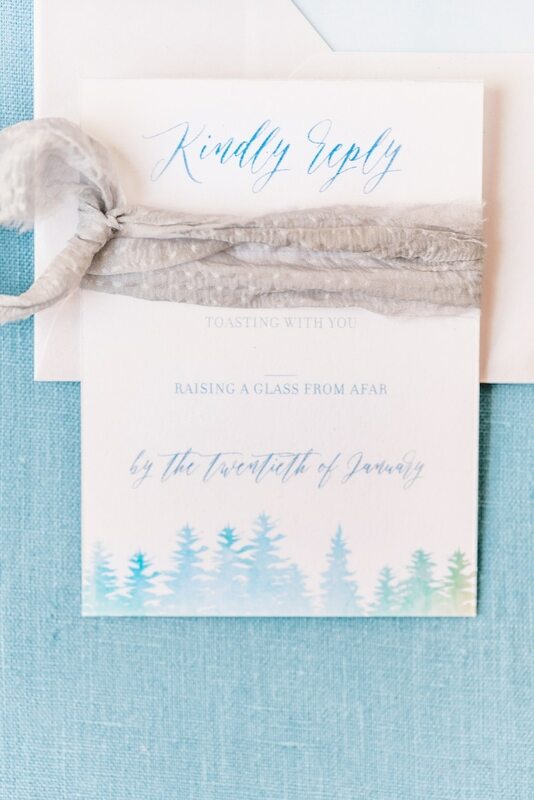 The soft water-colored forest on this invite is very modern; very Up North. Get acquainted with a party bus company. 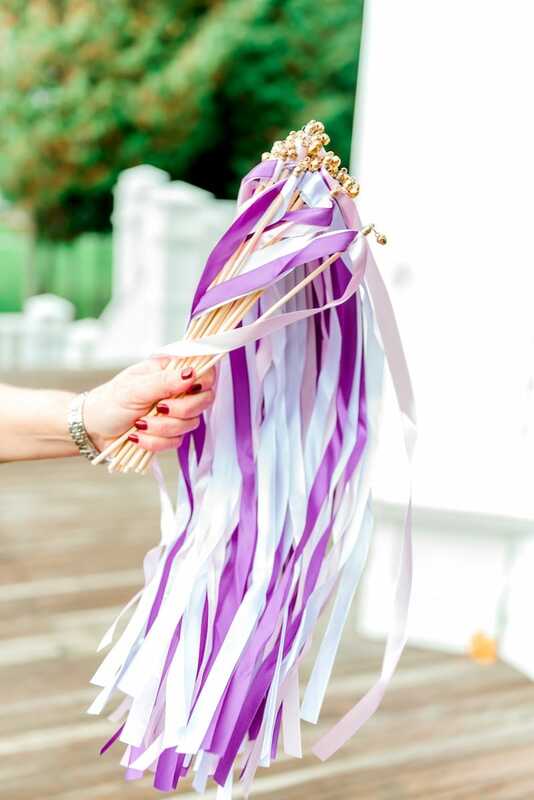 Are they going to make your bridal party comfy, safe, and be a part of the memories? 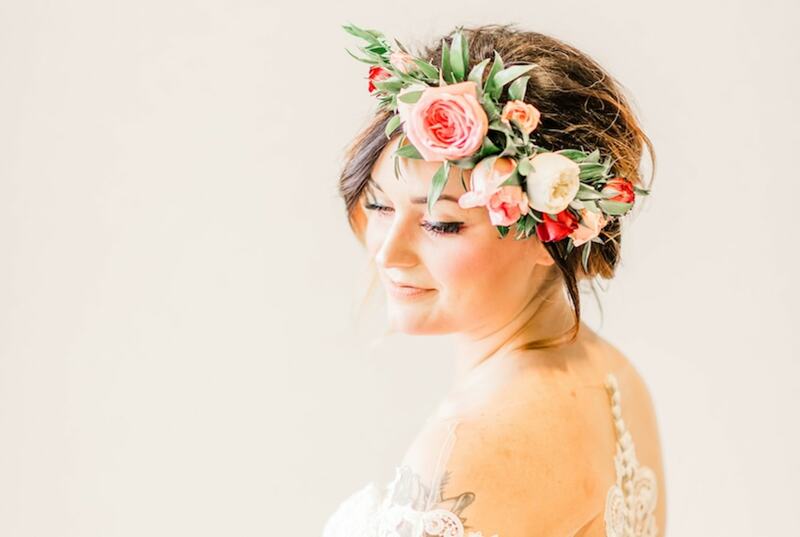 A floral crown is romantic, natural and unique to you.